Originally only intended to be allowed after the first 23 injections – so basically, interruptions are meant to be done sometime after you’ve been on the diet for 3 weeks already. Why? Dr. S said that if you didn’t do this, weight regain while on the interruption was much more likely. This was because, as a hormone treatment to reset your hypothalamus, his findings were this took about 3 weeks. Up your calories to at least 800 by eating phase 3 style- ideally eat to hunger for the ultimate calorie intake each day, so how many calories you end up eating above 800 will vary. It’s possible your calorie intake will end up being somewhere between 800-1600 calories- this is really just a guess though – the idea is to not get overly full. If you let hunger be your guide, I think you will be more likely to stay stable during this time. What foods exactly can you eat? Well, since the hCG is out of your system, eating Phase 3 style means you CAN include foods with fat in them. You are still avoiding all starches and sugars. If you are off hCG for less than 2 weeks, you can get back on hCG without re-loading – simply start taking hCG and doing the 500 calorie again. While writing this article, I got a GREAT question from a viewer who said she had to take 7 days off hCG during her round and she was worried about being hungry on hCG if she went right back to VLCD without loading, as Dr. Simeons mentioned you could do if your break from hCG was 2 weeks or less. If this is something that you are feeling very worried and concerned about, you have a couple options. I think the main idea here is to take away the fear and anxiety involved in the unknown – you’re worried about being hungry right? So why not give yourself a few options so that you’ll be free in your mind to DO something about any issues with hunger that potentially come up when you end the interruption. This takes away that projected fear and trapped feeling. 1. You can get back on VLCD without loading and see how you are feeling that first day back – if you are dealing with hunger that makes you uncomfortable, you could always turn that day into a half loading day. 2. Do 1 whole VLCD day, see how you feel, then do a load day the following day if you decide you need it. 3. You can do a one day load to start with. Did you just become visibly more relaxed? See, I think it’s all about giving yourself options in your head to deal with possible uncomfortable situations you are concerned with. However, First Things Second – Is Stopping hCG Briefly A Smart Thing To Do? Let me just give you a little feedback on what I’ve observed about people doing interruptions okay? The truth of the matter is, the vast majority of the time, interruptions don’t seem pan out. And I think I understand why – essentially it’s just human nature. There is a certain aspect to motivation that seems to really be affected by momentum and how we perceive things. Once you change tracks, it feels harder to go back to the other track you were on. For instance, I have noticed that when I go to crossfit, if during the workout I break for TOO long, I find it VERY hard to get going again. Once I’m mentally and physically starting to find myself in rest mode, it’s harder and harder to get back into exercise mode to start up again. Another example- think about how you feel when you THOUGHT you were done with something, but then realized you weren’t – did you approach completing the task with as much ooomph as when you began? Likely not right? It’s at this point – that point of where motivation has slipped and de-motivation has started taking over that the chances of giving up/stopping go WAY up. During the interruption the person doesn’t really follow the rules for the interruption (ie. Eating phase 3 style, limiting calories to 800-1200 or so) – instead they eat what they feel like eating because they’re on a cruise or at a party, so all manner of cake and pasta and wine goes down the gullet, with very fast weight gain during this time since weight is ALWAYS in a sensitive place when you first get off hCG (hence why there is phase 3). When they are ready to get back on hCG after the interruption, they might re load, even though they don’t have to – this is one of those things where I think we might be letting our minds deceive us into having more cake or taco bell. This is more weight gain to get off now on hCG that wasn’t necessary. Once on hCG again, the motivation is just not the same so the protocol feels much harder than just a couple weeks prior – it’s at this point that people start struggling with frequent cheating. This is really demoralizing for us to go through you guys. It tears at your soul when you struggle like this. So I’m not saying you can’t do an interruption, or that they will never work. I’m just sharing what seems to happen an awful lot, indicating that for most of us, they may not be a good approach. 1. Time your round so that nothing crazy is going on for at least 3 weeks so you can get at least a short round in. 2. If something crazy has to go on for a day or 2 during your round, attempt to stick to hCG through it and not cheat. 3. If something crazy has to go on and you feel like you feel adamant that you get to have a glass of wine or some chocolate cake that night, stop your round early. 4. If something crazy is going to take place and there’s no way around it and you KNOW you won’t be able to stick to P3 but you want to continue, do the interruption! If you know all these dangers I’ve mentioned in advanced, you might be more mentally prepared to avoid them and make a success of the break. Stay on hCG and cheat on the crazy days. The reason this is such a bad idea is that hCG is interacting with your other hormones and your body and you can potentially do more damage to your metabolism and hormone levels if you screw around with this. I do believe this, and Robin Woodall feels the same- she seems to understand more about the science of this, so please read her book Weight-Loss Apocalypse: Emotional Eating Rehab Through the hCG Protocol if you’re interested – this is the one book I pretty much think every single person who does hCG should have. Weigh these things carefully. I understand that it feels only fair that you should get to eat a full meal and a few glasses of wine at your own 33rd wedding anniversary party. I’ve had plenty of pity parties in my own weight loss journey believe me! At the same time though, if you give yourself a little time to think it through, you might come to the decision that nothing is worth impeding the life change that you are trying to make. There will be glasses of wine and full meals in your future- your 34th anniversary for instance. 🙂 Might it be possible, just for this year, to forgo some things you might normally indulge in, so that you can reach a goal properly? The reason I think this matters is that I strongly believe in the domino effect. One thing can and does lead to another. One cheat meal, or getting off hCG for a few days, might not seem like a big deal. Perhaps for some it won’t be. But for many of us, our motivation and will power is rather precarious. It’s there, but it doesn’t take much to throw it off. Giving in or letting go during these times may be the beginning of an unraveling period that will be a bit tough to recover from – an unraveling period that you might decide when you’re on the other end later, wasn’t worth it for a glass of wine or a piece of cake. Since I’ve been observing my own journey and many others doing this protocol, I see that sometimes we can find ourselves in a vicious cycle of losing and gaining, over and over and over. Sometimes there’s perfectly good reasons for it that aren’t really our fault. But sometimes, it has to do with these choices we make- those times when the “normal” thing to do is going to cause a problem for us and we end up going with “normal” instead of an individualized approach. When I originally got off gluten, I had to learn for myself that it wasn’t about how I thought things SHOULD be – what I should be able to have, but that I couldn’t. It was about making a personal choice to achieve better health for myself. There are no “should be able to haves” in that framework. It becomes a matter of what do I want my life to be like? Yes, I have spent a night or two feeling sorry for myself that I’ll never get to eat a regular slice of pizza again because of my gluten allergy. But thankfully, after processing it for a night or two, I realized how pointless it all was to spend my time feeling bummed about that. And I value my life as I’ve been able to re-create it so much more than any piece of pizza or cake. I didn’t realize it at the time, but I was subconsciously doing just that at times on my hCG journey when I tried to continue doing things in a way that I thought was the “normal” way to approach life, but in actuality these methods really didn’t work with my personality or genetics. It wasn’t until I confronted this idea, that I needed to stop paying attention to what I thought was standard on the outside and move in a direction that would actually work for me. I am so happy I stumbled across this page, it’s super helpful. I just started the diet today- it’s day 1 of load day. This Monday, April 7th, will be the beginning of the 500 calorie diet. I have to stop by the 24th because I will be traveling on vacation for 5 days. In this case, should I just follow the diet up until the 20th, and on the 21st go into phase 3. OR, would it be okay to use this as an interruption and pick back up on the diet when I get home? Hi, I have a question regarding taking a break from the VLCD/HCG. I am on my second round (shots). My first round I lost 20lbs. I took a 2 1/2 month rest and decided to do a second round to lose the last 20lbs however, after being on it for 2 weeks I came down with a bad bout of shingles. I decided to push through the diet for another week (at this point i am at day 26 including the 3 day load) but am finding i am so weak, I need to take a break, but not sure how long of a break I should take without it becoming an issue. I still have a good 8 to 10 pounds to lose (or would like to anyways). I am also out of my 1st vial of mixed HCG having a second I have yet to mix. How long will the unmixed vial last (I’ve kept it all in my fridge). Any advice would be greatly appreciated. It’s okay to take a break when you feel your body can’t handle it anymore. You have to have some energy left to stabilize in Phase 3. The unmixed vial will have an expiration date in it. Hi was just reading your response to someone’s question above… I was wondering what you meant that your body needs to have its energy levels stabilized so phase 3 will work properly? Hi! Dec 31 I hit 180 (my15 lb weight loss)! This is my first round, phase 2, and day 16 of VCLD. Unfortunately I started to get sick that same day and have had , what seems to be, a common cold. I made the mistake of have cough syrup and throat lozenges that day, as well as honey with my tea because my throat was killing me. It’s now January 5 and I’ve been stalled since then. 🙁 it’s so disheartening. What can I do to get my weight loss back on track? Today will start my second half (I’m doing the 46 day injections with nuimage). Sometimes it just takes time for the stall to pass when having sugar or other off protocol items like that- one way I like to jumpstart passing “cheat” type eating is to do a day or two of P2 with no fruits and extra veggies or 1/2 cup fat free greek yogurt in it’s place – this seems to help get things moving again more quickly.I hope that helps! This post specifically is all that Rayzel have about interruptions. Help! This is my 5th round of doing hCg, I’m in my 2nd week of injections. I was doing great, then work stress got the best of me. I’ve been cheating intensely for two days now. I am so dissappointed in myself and feel like such a failure. My first 4 rounds were successful but this one, I’m sad to say, has been a complete bomb. I don’t know ow what to do. I want to abort this round and try again in a few weeks. My fear is that I am on a bad eating path and am going to gain immensely u til I start up the injections again. Please help me, I’m desperate! This is Li-an, Rayzel’s assistant. Nice to meet you! I would suggest going with how you feel and take that needed break and start all over again when you are READY. The hCG diet is a strict program and cheating consistently won’t bring you success, I know it’s brutal but honest. Just take a bring, gather all the motivations you can and think about the deeper reason why you wanted to lose weight and keep that in mind everyday as you start a fresh round. I am my reload I started yesterday and today was supposed to be the 2nd day however tomorrow I was supposed to phase 2 but I have been advised that we have a business dinner tomorrow evening and I know I wont be a good day to start pase 2. My question is can I do a relaod for 3 days or if I leave the HCG do I have to do a recharge again aornd when can I do the reload what would you recommend? Yes, you can do a 3rd day of loading. Hello, I’m going on vacation this weekend and I want to continue to do the drops while on vacation but there may be moments where I cheat on the food. Will this had a bad side effect? Will I gain faster on the drops or off the drops if I eat cards and fasts? Will eating whatever I want on the drop make my stomach upset? Thank you, I haven’t cheated yet and plan not to ii’m kore nervous we will go somewhere and the temptation will be too strong lol. I’m pretty new to this hcg protocol and I’m only learning about it while I am on it *hides*. I loaded for 3 days and I’ve been on the vlcd for 8 days – it’s day 9 today. In the 8 days I’ve lost 3.6kilos and I feel like it’s a little less than what everyone has lost. Yes, I know our bodies are all different blah blah blah 🙂 but is there anything I can do to lose just a little more? Another thing, can I plan an interruption on day 24 of vlcd? Well, technically, the interruption will be on day 27 but I will stop taking the hormone on day 24. I will then continue with the vlcd on day 25 & 26 and ‘feast’ on days 27 & 28 (I have a huge family/cultural commitment that I can’t get out of). My real question is how soon can I go back to the hormone after my two cheat days? There’s nothing much you can do to make it faster but pray for your body to perform miracles lol 😀 But yeah, you’re right our bodies are all different and you would not want to “overwork” your body by forcing it to do more (the 500calorie diet in itself is very taxing and stressing to our bodies) – as it can come back to you negatively (fatigue, gains, etc). During interruptions, you can get back to it right after that 2 cheat days. However, try your best to eat p3 style during the feast so it won’t cause too much gains if any. Ive done previous rounds and done well – but started this round and im on day 4 of the VLCD, and i need to stop, but should i still do the three days of no drops even though ive been on them less than a week? Thanks! Hmmm that’s a good question- gosh because it’s so soon I’m thinking what I might do is just eat maybe like 800-1000 calories for those 3 days rather than sticking to the 500 cals while getting off. That’s my best guess on that. I hope that helps! Lost a drastic amount of weight nearly about 25 pounds during the first time of my HCG all my friends were shocked to see me , after that in a course of time after stopping I gained nearly 40 lbs . Please help me how do I go about this , I have wasted so much money on my HCG . Please please help me out , to come back to my old weight , would really appreciate it . I start my HCG next week and I am extremely excited! I hope it get it right. I like to drink a shakeology shake every morning for breakfast. Do you know if I can still have it? I searched the nutritional level of shakeology shake. Each shake provides 160 calories, it contains 17g of carbs. Some of the ingredients are not P2 approved like the pea, quinoa, chia, flax. You can do low-carb protein shake, but protein shake is out of the original protocol- it is a modification so there may be chances that it may not work for you. Try it gradually & observe if it does stall you or not. 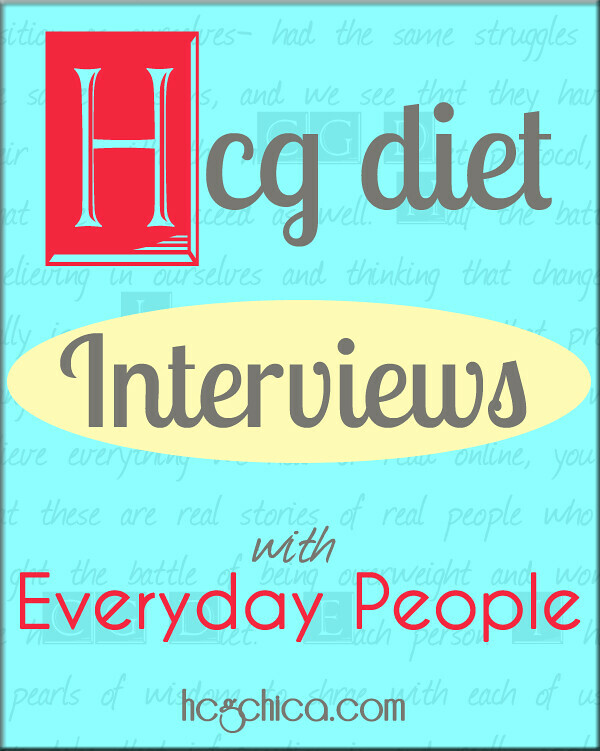 My name is Belinda and I have done the HCG diet a couple of times. I have appreciated hcgchica’s help when I had questions myself. The problem I have is that I find after a few days an inability to stomach eating chicken anymore. I have limited ability to eat certain things because they upset my stomach., So in my mind as a protein, chicken was my only option. I searched and searched and I found a protein shake that you can have on HCG. No carbs no sugars. It is called Synergy ….no carbs, no sugars. I use it as my protein all during the HCG diet. When I am not on the HCG diet I use it as a great weight maintenance and make it with skim milk. While on HCG you simply make it with water, put a tiny bit of sweetener in it if you feel you need it. It is a perfect replacement for having to eat meat on the HCG diet. They have chocolate and a variety of flavors, I prefer cappuccino it tastes like an iced coffee. You can find it at a company called best price nutrition, that’s where I order it from. I was having a very difficult time eating chicken. Just looking at chicken with making me want to throw up. lol So before I started the HCG diet again I had to find a solution if there was one and this protein is a perfect solution. I use this protein in place of the protein for the two meals and lost 14 lb in just under two weeks. ☺️ Finally a protein shake you can have on HCG! ???????????? I am having the same problem, I can’t eat almost anything. Could you please give me more info on this protein powder. I looked by the name you gave and can not find it. Hi Belinda, I tried to het that synergy protein you mentioned so I can try it but i can’t find any where. Can you post a picture or a link? Thanks. Hmm- yeah I don’t think I would stop hCG that soon into starting even though your period started- I am thinking there is not enough hCG built up in your system to handle that – although with the drops there may be no actual hCG in it anyway- you might consider raising your calories as needed just until your period is gone before going back down- it’s difficult timing to be on your first vlcd days and have your period start- I’m sorry! If it was me, I will just skip 1 day of heaviest flow and continue on the drops because it’s only been a few days and your body mustn’t have adjusted yet. If I have to stop the Phase 2 protocol for 1 day only, do I skip the shot that day? The hCG will stay in your system for 72 hours after your last shot. So if you want to stop for 1 day, you’ll have to stop injections 3 days before then. Ok, thank you! I am actually only needing to deviate one dinner but I will stop the shots ahead of time and then resume. So I have a strange question. I bought some hcg from a friend who got it at an online Pharmacy, I think Reliable RX and I have done hcg in the past and lost weight very well. I feel like this time after being on it now for 8 days I am not having the same affect. I lost an initial 4 lbs from loading and then 3 lbs total over the other 7 days but weight has not been budging like it normally did for me and i=I don’t feel as good. I wondered if the hcg I am using is not very potent so I ordered some from one of your recommended pharmacy Us Hcg yesterday. My question is do I continue using the one I have or stop and wait for the new vial and restart again? If I stop do I continue eating like I am but add more calories or eat normal until I receive it? I’ve had a similar issue with some HCG I purchased from Reliable Rx. I loaded fine. My 1st week losses were a little low but still 9 pounds. Since I worked out and had some trouble sleeping, I knew that was affecting the loss. Then for the next week nothing. I went up and down the same 1.5 pounds which was just water as my scale showed the same fat percentage. Thankfully, I had some more HCG and mixed that. 2 days later, I’m down an additional 2.5 pounds. I’m not hungry at all. I find myself force feeding myself. I’m even sleeping much better. If you can afford to get a vial from one of the US pharmacies do it. My 1st vial was expired, so I’m sure it just lost it’s potency even quicker after it was mixed. I’ve never had an issue with any HCG from Reliable Rx in the past. Just make sure the HCG is fresh. Apologies if this is a double submission but i couldn’t tell whether my question actually posted. I need to travel for a funeral but will only be gone for 2 days.. do i need to plan a full break or will i be okay to skip those 2 days of shots, stay on the vlcd, and then resume when i return? I’m scared to fly with my shots as they’re pre-loaded. Also, i’m not sure how to make this work with my cycle being next week as well? Aren’t i supposed to skip shots during my cycle ? So sorry for this late reply. Yes you can skip the injections and keep eating P2 foods. What Rayzel does is she skip only 1-2 days on her heaviest flow days- She felt too nervous to skip longer than that! Some continue injecting through their period, others stop for the full duration. Skipping 1-2 days of heaviest flow is a reasonable approach. You do continue the 500 while on TOM without hCG. The idea is that your body actually produces a small amount of hCG while on your period – so in effect it’s like your body is providing you your daily hCG dose for those days and potentially taking your injection also could be too much hCG in effect causing hunger. That’s the idea anyway. 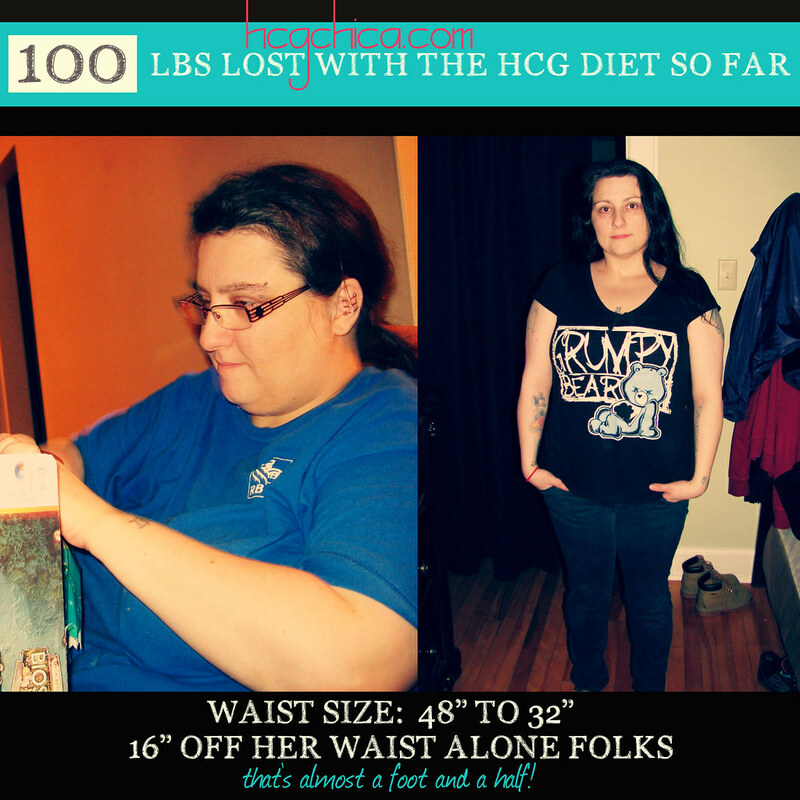 I’m completing my first round of HCG. My planned interruption was the best thing I could have done for myself. I took a 13 day planned interruption. I had stalled for over a week, I was losing motivation, feeling really crappy, and had a trip to Dubai coming up. I ate Keto for a week and ended up losing an additional pound. In Dubai, I gained about 3lbs, putting me at 1.9lb over my LDW. But I was also able to learn a TON of things from my first go around. I realized I was cheating, all the time, because I thought it was negligible. But it caused crazy long stalls and demotivated me. I was stalling EVERY SINGLE WEEKEND. I also learned what foods I was sensitive to and that I could up my protein a bit and still lose. I learned that when I keep my net carbs under 30g I lose more. And I just missed food in general, and realized a long round with no breaks would not be successful for me. Since coming back from my PI, I haven’t cheated once because I know exactly what it does to my weight loss. I also did so crappy during my PI as far as eating only P3 foods, so I’m glad it wasn’t the real and final thing. There’s no way I’m doing that when I hit P3 again, because I want to stabilize. So my first couple of VLCD days and my PI were more of a lesson for me, that allowed me to not throw the whole round in the toilet. This past week being back, I’ve been doing great and I hope I can continue that momentum through the end of this. I have a one day event (a mud race) that I signed up for months ago before even knowing or deciding to try HCG. I really want to do the race as I’ve been planning on it for over a year. I want to know what is the best way to handle this. On race day, I will be on day 15 of VLCD. Is there any way I can do this race with minimal negative affects? Should I stop the drops 3 days prior and resume them the day after the race? Can I continue the drops and just eat 800-1000 calories? What is your best advice? I work at a brewery and sometimes work on a sensory panel for assessing our craft beers. Sometimes I have to taste and compare beers for work. I am worried that it will hinder my progress on HCG. I will keep the consumption to a minimum and it looks like I have to only participate in one or two panels during my 6 week protocol call. Is there anything I can do to offset my beer days? Can you just taste the beer in your mouth and then spit it out? Thanks for this info. Going out of town for a couple of days next week and needed to plan ahead. I think the hardest part for me will be limiting to 800-1200 calories and then going right back to Hcg and 500 the friday I get back. This helps. Hey @mycaleb8 – glad to hear the post helped. Just having a plan of action can make success more likely right? I just started a round of shots and my mom is in the hospital with a heart attack. I am obviously not at home to cook my healthy meals and the hospital cafeteria is my only source of food during the day. What do I eat? Hi @Janet Genna Grundel – wow sorry to hear that is going in your life! It can be so hard to find something suitable to eat at these places- I recently was at the airport and pretty much couldn’t find anything Phase 2 suitable. Do they have any raw veggies there you can munch on? That would be your best bet. Even things like chicken breast if it’s processed etc. may have a flour/starch coating, but of course, if you’re in a pinch, it will do right? I ended up eating a couple of apples from the hospital cafeteria (not at the same time; one in the morning and the second for lunch), then got home and cooked a piece of chicken and some broccoli. The reality is that I just kept drinking water all day and I wasn’t hungry. Tomorrow I will probably eat 1/2 grapefruit for breakfast before I leave, then have an apple for lunch and make dinner when I get home. Two fruits and a dinner worked today, and hopefully I still lost weight even thought I didn’t stick to the exact protocol. I’m usually very strict about following rules, so as soon as I can I’ll get back to the correct diet. In the meantime, I’ll make due with fruits and raw veggies when I can’t get a meal. Rayzel, your last couple of paragraphs in this article are BRILLIANT, and SOOOO hard to accept, while knowing with certainty the truth in them! Exactly the battle I fight constantly!!! Crucial to accept about the weight-loss fight (and life in general!) as a WHOLE. Thank you! Some pizza joints now offer gluten free pizza!!! Gluten free pizza is a real treat! Be aware that gluten free does not equal carb free. The crust is often made from rice flour and the sauce contains sugar. I think its better rather an interrupt yourself is not to do a round that is more than four weeks in length, that does not include your loading days(which is 2 to 3 days depending upon your preference), and the two days of VLCD without HCG. Also its best to have 3 meals per day instead of 2, increasing your calorie intake to 800 to as much as 900 did not affect my calorie intake at all. I focused on making high fiber protein smoothies, I know dairy products are usually a bad idea, but I used one third of a small cup of organic 1 percent milk in my pea protein smoothies, I also added organic fiber and a tablespoon of oatmeal with Cinnamon and stevia for flavor. I also think xylitol is also another good flavoring as well. In addition to this I had a large plate of steamed green veggies, usually kale, spinach, or brocolli, and a small cup of fruit, three times a day, plenty of water. Adding fiber to the shakes makes them thick and very filling and that curbs hunger. There is also another low calorie sugar substitute called yacon syrup that is great because its curbs hunger pangs. I think it would better just to take shorter rounds and have a couple of hundred more calories and more fiber, green vegetables, and water. Make sure you take supplements, B12, Vitamin D, Fiber, multivitamins are important to stay in good health. Meditation, listening to positive music, avoiding negativity and stressful situations is real important as that can cause you to take your negative emotions out into food. I know it used to be with me. Thanks so much for another inspiring article! I did take a little break over Thanksgiving when we went on a little vacation (we live in remote Alaska and went to Anchorage for a shopping and visiting and dining out break) I was able to stop drops for two days before going and to enjoy a very delicious no/low carb and no sugar eating plan while dining out and was able to successfully pick up where I left off when I got back on the drops for an additional two weeks. And five weeks after that complete another great round and am now on phase 3 eating again. I really found that these last two rounds were the best ever, thanks to your advice and wonderful insights and information. I am happily down two clothes sizes and am looking forward to doing another round when we return from Hawaii in March. With all of the information and eating advice my husband and I have found that the rounds are so much more ENJOYABLE and I don’t dread them anymore and since he is vested as my cook and encourager we both have really benefited from your advice. Thank you so much for your blog and for your sweet positive helpful attitude. 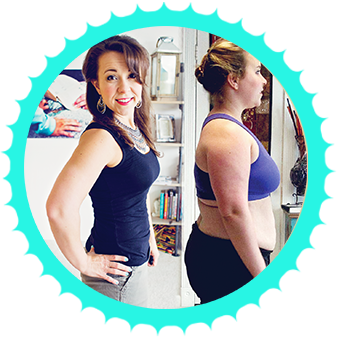 I had done the HCG protocol prevously and always gained back the weight and struggled through it but with your help and insights this time has been completely different!!! I am vegan and I can’t cook. This is day 2 after loading, and this food is so bland. any quick recipes? I have one, one cup of water, half cup of plain unsweetened almond milk, half scoop organic brown rice protein, half scoop of unflavored now pea protein, tablespoon of cinnamon powder, stevia or xylitol to taste, a tablespoon of organic or natural oatmeal, you can also add a tea spoon of a glucomannan or psylium husk fiber. If you are concerned about carbohydrates you can omit the oatmeal. You can also add raw cocoa powder if you want for added flavor. Yacon syrup is another excellent natural alternative to sugar but kind of expensive. Also you can use Sun Warrior or Vega One Protein instead of the Now Pea Protein and brown rice protein powder. I would not recommend using soy protein. My normal recipe uses organic milk, my normal routine is vegetarian HCG Phase 2 protocol, so I consume dairy products in very limited quantities. I use Sunwarrior Exclusively and love it. Here is how you get a FULL p2 meal out of it. 2 cups h2o, i-1/2 scoop sun warrior chocolate, handful frozen strawberries and handful of spinach or kale or chard. Blend and enjoy. This actually tastes better with h2o than almond milk. Then on p3 you can use a tablespoon of almond butter. Yum!!! I have this everyday!! Sun Warrior is good, but NOW foods also makes a high quality Pea protein as well, I think NOW offers the same quality for less money. Now also makes good vegan protein powder. Vega and Orgain are also good brands.